Lets take a look at the Arizona Diamondbacks in the first month of 2011 and see how they have faired so far. Their opening series started in Colorado, and believe it or not, game 3 of that series was cancelled due to snow flurries. The Diamondbacks left Colorado with a 1-1 record and headed to Chicago to play the Cubs. They ended up going 1-2 and headed to Arizona for a 9 game home stand, and their first home series of the season against the Cincinnati Reds. Home cooking was good, as they took the series against the Reds 2 games to 1. They only managed to win two games out of their next six at home against the Cardinals and Giants. On the road, they beat the Reds again 2 games to 1, and then ended up getting swept for the first time this year against the Mets. Back at home, they won another series against the Phillies 2-1, and ended the month 1-2 at home against the Cubs. During the month, their longest win streak was 3 in a row, but their longest losing streak was 4 in a row. The Diamondbacks home record for April was 7-8, and they were 4-7 on the road. Their overall record after the first month of the season was 11-15. The magic number for the Diamondbacks was 6. When they scored 6 or more runs, they were 8-0, scoring 5 runs they were 1-2, and scoring less than 5 they were 2-13. The team has changed a little over last year regarding their offensive production. They are 16th overall in batting average (.249) and on base percentage (.321), but 5th in slugging percentage (.431) and 3rd in all of baseball with 36 home runs. They have reduced the number of strikeouts this year, and sit 16th overall (214), while they are also 16th in total walks (101). They are tied for 10th overall with 24 stolen bases. Essentially, the team has become a more power-hitting team, and with that, very streaky. When they score, they usually score in bunches, but when they don’t, they typically struggle. They scored 2 runs or less in 7 games, and scored 7 or more runs in 6 games during the month of April. Offensively, there are a number of players contributing in different ways. Justin Upton leads the team with 30 hits, Chris Young leads the team with 7 home runs, Stephen Drew leads the team with 22 RBI’s, Willie Bloomquist least the team in AVG .306, and it looks like Ryan Roberts may be having a breakout year and making the most of his opportunity. Even after all the trades for pitchers towards the end of last season and in the off-season, it doesn’t seem to be helping the Diamondbacks. I said this when the moves were made. It doesn’t help to get rid of a pitcher with a 4.50 ERA and add a pitcher with a 4.50 ERA. Basically, the Diamondbacks made a lot of moves but didn’t improve the pitching staff at all. The longest tenured pitchers on the staff are Juan Gutierrez and Esmerling Vasques, who have both been with the Diamondbacks for 3 years. It’s almost as if the front office wanted to make the D-back fans think they were trying to improve the team, but failed to spend the money it takes to acquire quality pitching. Let’s have a look at how the pitching staff fared in April. The ace of the staff, Ian Kennedy, has a record of 3-1, but part of that is due to the run support he has received by the D-backs offense. His ERA is 3.92, which is probably the highest in the Major Leagues for a number 1 pitcher. On a positive note, he has limited the number of home runs he has allowed, and has significantly reduced the average number of walks so far this year. Daniel Hudson, the number 2 pitcher on the staff who was acquired during the 2010 season, has 2-4 record in 6 starts. He has a 5.30 ERA, and has given up more hits than innings pitched. He is also walking more batters this season, but at the same time, has more strikeouts on average this year. Number 3 in the starting rotation is Joe Saunders. 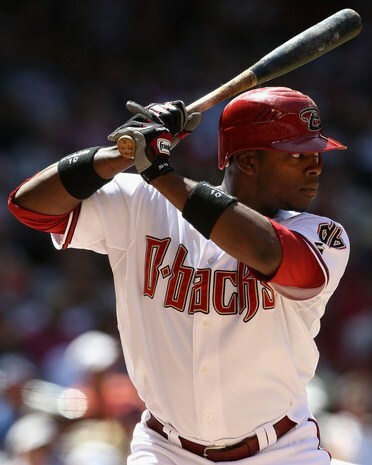 He also came over to the Diamondbacks during the 2010 season. Saunders has not won a game this year in six outings, and is sporting a 5.67 ERA. He is averaging a walk every 2 innings and opponents have a .325 batting AVG against him. 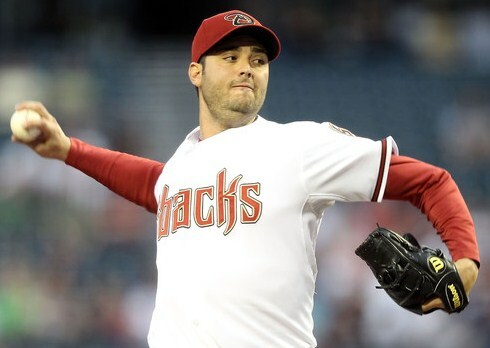 The 4th starter in the rotation is Barry Enright, who started with the Diamondbacks in 2010. His 6.49 ERA wins the award for the highest on the team among starting pitchers. Enright has won 1 game out of his first 6 starts and has a 1.67 WHIP. The big off-season trade to secure Armando Galarraga as the Diamondbacks 5th starter has thus far been less than stellar. He received a great deal of notoriety last season for the perfect game he lost on a missed call by the first base umpire, but if you look at his career as a whole, he has not been great. 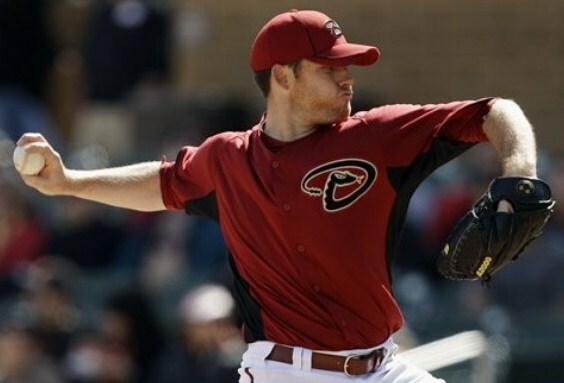 Before coming to Arizona, he had a career ERA of 4.58, and so far this year it is 5.46. He is 3-2 in his 5 starts, but has given up 11 home runs in 28 innings pitched. The off-season acquisition of JJ Putz seems to be the only improvement on the pitching staff this year, and I was skeptical of that at first as well. So far, he is a perfect 7 for 7 in saves and save opportunities. If the Diamondbacks want to improve their record, they need to look no further than their pitching staff. It’s early on in the season, but things have not started well for the Diamondbacks. If you take their 11-15 record for April and extrapolate it out for 162 games, they will end up with a 69-93 record. This is only 4 games better than last years 65-97 record which landed them in last place in the National League West. I feel that the front office has made some really bad decisions over the last couple of years, and have really not tried to put together a winning team. Instead, they trade away their better players and get nothing in return, which leads me to believe that they are just cutting salary. I fear that if there are no changes to the pitching staff, the rest of this season will pretty much look like how the Diamondbacks started the season in April. ~ by Troy Erickson Realtor on May 5, 2011.